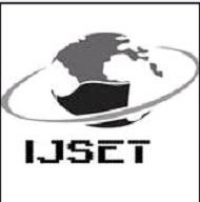 International Journal of Scientific Engineering and Technology (ISSN: 2277-1581) is an international refereed e-journal and it publish in English only. It publishes peer reviewed and original research papers. It publishes the research paper in the field of Science, Engineering and Technology. All papers are pre-reviewed by editor and then forwarded to reviewer, if found appropriate. ijset is not following anyone.